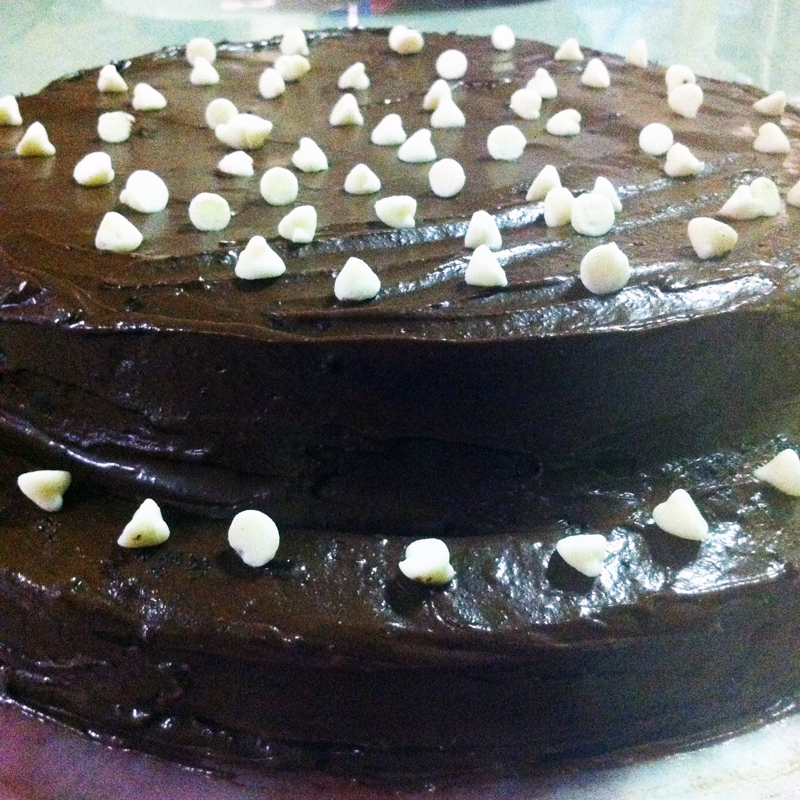 Chocolate cake has been one my favorites. It’s perfect for occasions such as birthdays, weddings, christenings, parties, etc. After watching several tutorials on YouTube, I’ve set my mind that it is just easy to do. 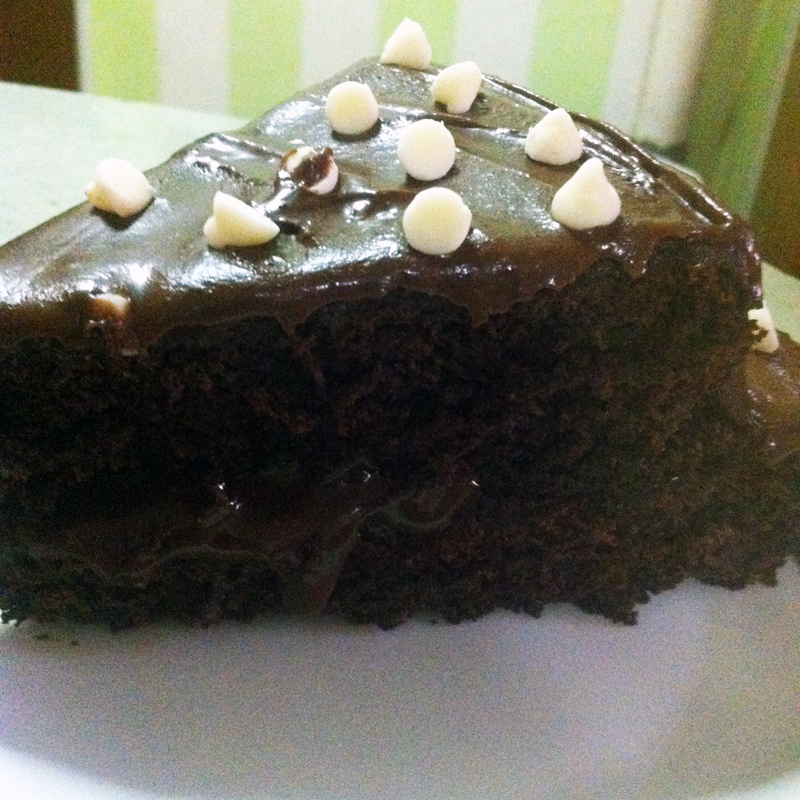 So I decided to bake one. 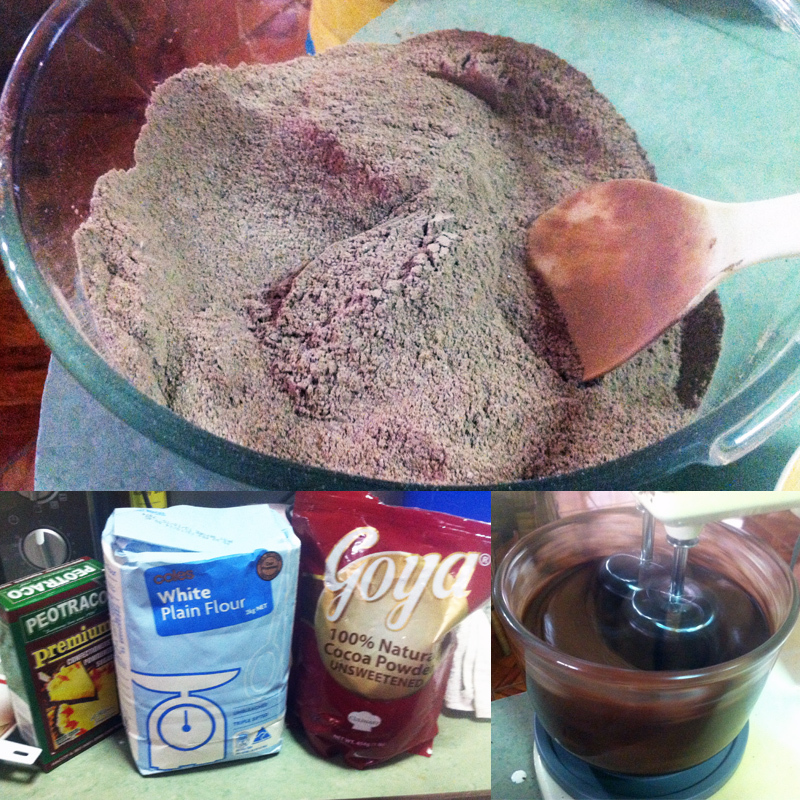 In a large bowl, stir together flour, cocoa, sugar, baking soda, baking powder and salt. Add milk, eggs, vanilla and oil. Beat on medium speed for 2 minutes with an electric mixer. You may also do it by hand. Grease and flour two 9-inch round baking pans. If available, put a round piece of wax paper to the bottom of the pans to avoid the cake from sticking. Pour mixed cake on the baking pans. Bake from 30 to 35 minutes or until wooden pick inserted in center comes out clean. Set aside and let it cool for 10 minutes. Stir together powdered sugar and cocoa then mix in butter, vanilla and heavy cream. Beat with electric mixer until you get a creamy spreading consistency. Spread the frosting across the top layer of the cake, toward the edges of the cake. I added white chocolate chips on top for additional flavor and decoration. Enjoy. Do something delicious. This is what I intend to do aside from programming! It is fun and makes me feel like there’s more to life. I can do things other than the usual stuff I studied to do. I am happy with the result so far. There’s a progress in my baking experience. And a level-up from what I have done before. My family enjoyed it. I just need to be more creative next time. Watch more tutorials and practice a lot. Perhaps one day my family won’t buy cakes for occasions anymore. Instead I’ll bake it for us! 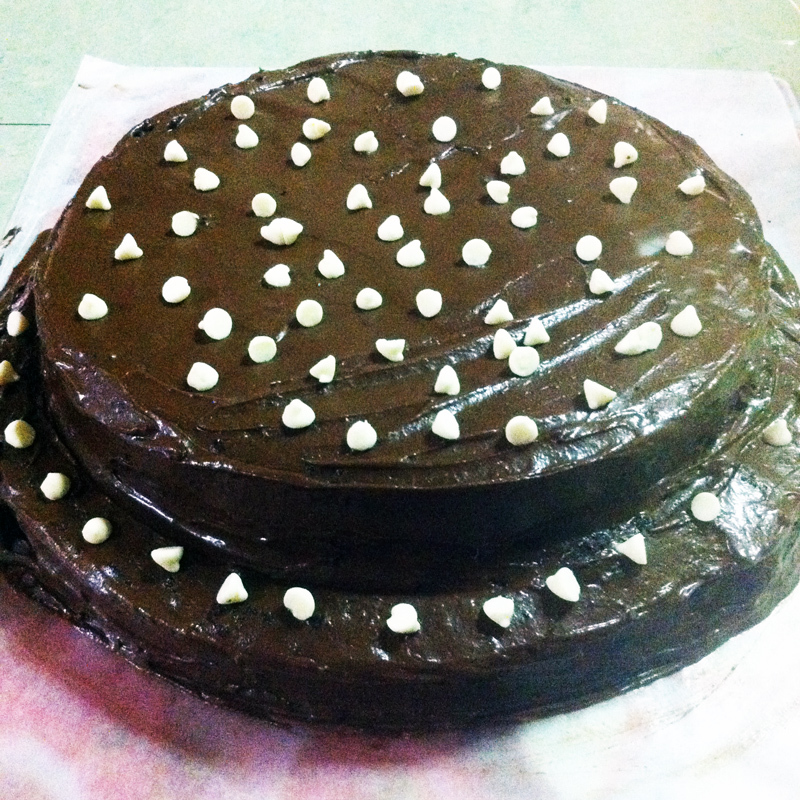 This entry was posted in Food Corner and tagged bake, cake, choco, chocolate, chocolate cake, home made. Bookmark the permalink.